This morning was brutal in many ways. It was brutally hot and brutally humid, as we all did our traditional Sunday LSD run – long slow distance. 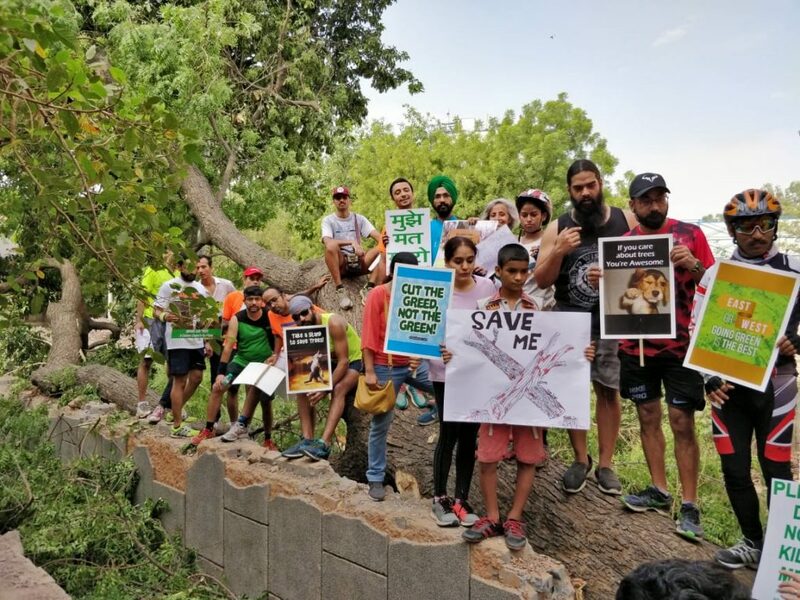 And then, when a group of us went to protest at the venue where the tree felling has already started, if ever you wanted brutal…that was it. I told you a little of the background of this ecological nightmare in an earlier post. If you didn’t read it then, please take a couple of moments to do so now, to help put this terrible situation into context. 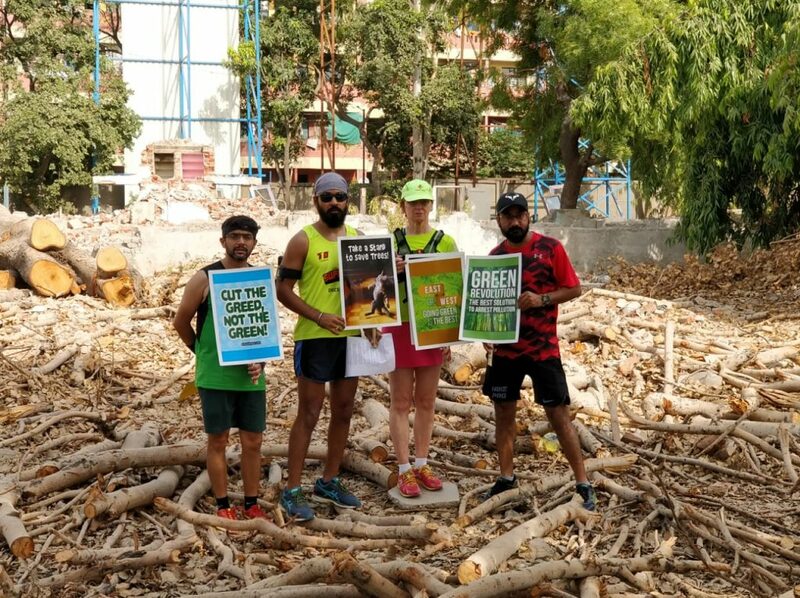 In a nutshell, in Delhi, one of the world’s most polluted cities, 16,500 trees are due to be felled, in order to build flats for bureaucrats. 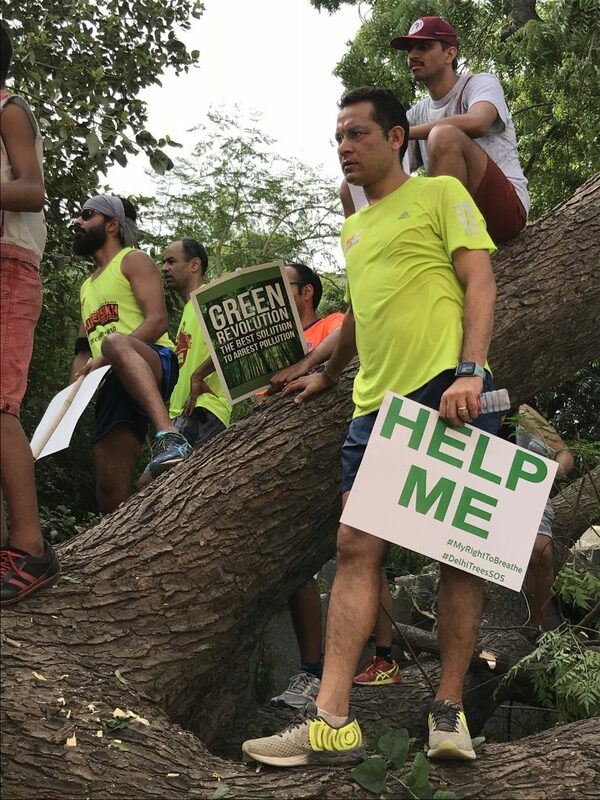 There has been a small but growingly vocal sense of outrage, and one can only hope that it will grow exponentially, and that, please God, something positive will come out of the shock and anger at this terrifying damage to our city’s green cover. The scene this morning was one of terrible desolation. Demolished buildings, dust, dead trees – and such beautiful old trees like this one, above. I wanted to cry when I saw it, and I was not alone. Many of my friends there this morning said they, too, felt emotional and teary. To put the size of this tree in context, I asked my friend Namrata Joshipura to stand next to the tree. As I said at the outset, it was all brutal. 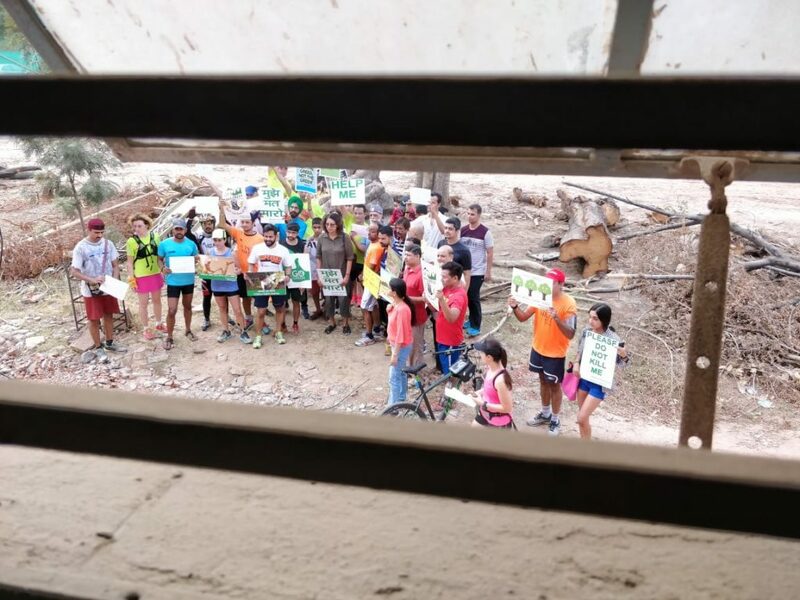 My running mate Sunil Punshi climbed up into one of the partly demolished houses, and took this sad view. 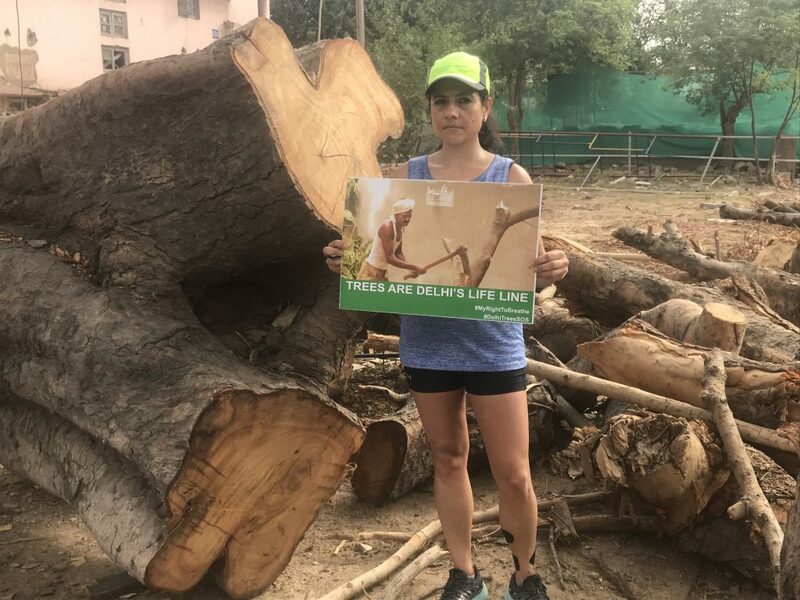 We went to 3 different venues, including one where a tree was being cut. People climbed on the tree, a cop rocked up, 2 TV crews were there. 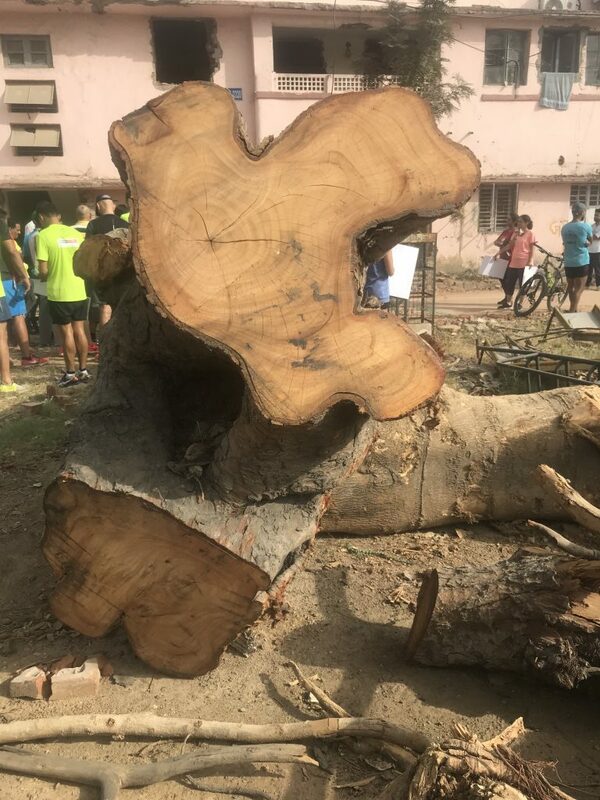 But the fact remans that the beautiful old neem tree is finished. I honestly have no idea where all this will end. Will the power of social media have an effect? Will we be able to stop more tree felling? I hope to God we can. Those of you in Delhi who are reading this – if you feel as shocked and outraged as we all were this morning, then please come to future protests. Check the press, online – feel free to check with me – and come out and show solidarity. Have no words. This is so so so sad. Really hoping the protests will help.